The .45 ACP (Automatic Colt Pistol), or .45 Auto (11.43×23mm) is a handgun cartridge designed by John Browning in 1905, for use in his prototype Colt semi-automatic pistol. After successful military trials, it was adopted as the standard chambering for Colt’s M1911 pistol, being named .45 ACP. 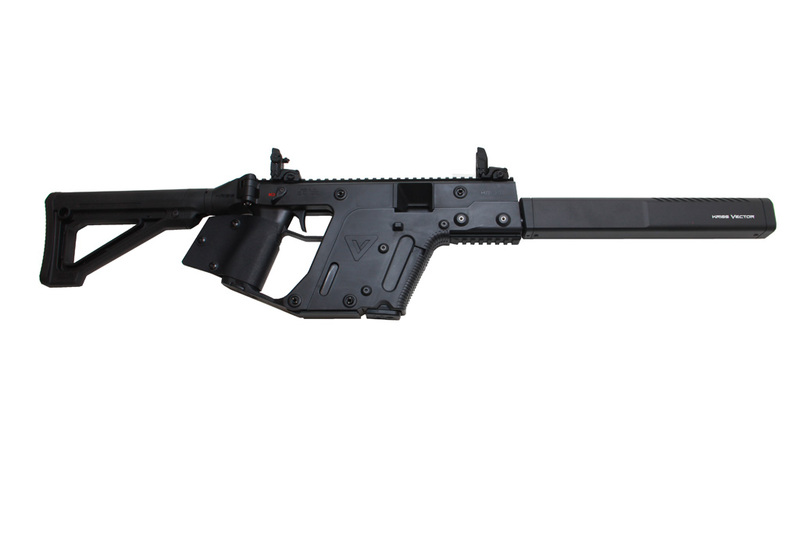 The 45ACP is effectively used in various carbine rifles like the Kriss Vector. The .45 ACP is an effective combat pistol cartridge that combines accuracy and stopping power for use against human targets. It has relatively low muzzle blast and flash, and it produces moderate recoil in handguns, made worse in compact models. The standard issue military .45 ACP round has a 230-grain bullet that travels at approximately 830 feet per second when fired from the government issue M1911A1 pistol and approximately 950 feet per second from the M1A1 Thompson submachine gun. The cartridge also comes in various specialty rounds of varying weights and performance levels.